Colleagues, here is your monthly blog for November, with updates on what the BTP Federation National Executive is involved with. Yet again we have all experienced a very busy month and this post will hopefully give you an insight into what exactly we have been doing on your behalf. First and foremost, on behalf of all in BTP Federation I would like to send our very best wishes to our colleague who was stabbed this weekend while on duty. We hope and pray for his speedy recovery. Thank you to everyone who has kindly sent in messages and good wishes via social media. It has been overwhelming, and I am sure that when our colleague is fit to take on board all the support offered, he will be very touched and hopefully the messages will aid his recovery. We absolutely condemn attacks on police officers and implore the Government to step in and provide the funding required to assist in tackling this epidemic of violence against those who protect the law-abiding citizens of this country. Who was it who said we were "crying wolf" when we raised concerns about police numbers and the impact on crime? Politicians including our Prime Minster are burying their heads in the sand refusing to acknowledge what is happening on our streets and how difficult it is to police with one hand tied behind our backs. Earlier this month we attended a stakeholders meeting in Edinburgh, in company with the Chief Constable, the Chair and CEO from BTPA, representatives from Police Scotland, SPA, trade union representatives, Railway Delivery Group, ORR, HMICS, Scottish Government, DFT and Dr Kath Murray. This meeting was opened by the Cabinet Secretary who mapped out his and the Scottish Government's aims and ambitions for railway policing in Scotland. During the meeting, the Cabinet Secretary recognised and thanked BTP officers and staff for their continued commitment and dedication to delivering a service that ensures the safety of the travelling public. He also acknowledged the level of uncertainty that officers have experienced over the last 3 years or more. He is committed to removing the uncertainty but was clear that until all options are developed, scruntinised and tested a decision cannot be made about the future of Railway Policing in Scotland. He reassured us all that what is important to him is that the process going forward is done correctly and that we should not be seeking to find a quick fix. Nonetheless we should make every effort to reach a decision as soon as we can, so the uncertainty faced by officers and staff can be addressed. A newsletter has been circulated amongst officers and staff in BTP Scotland describing what happened at the stakeholders meeting. If you didn't receive the newsletter it's available here. The next Joint Program Board meeting takes place on 6 December where we will discuss the paper being submitted to the Cabinet Secretary. While I can't yet be more precise about how railway policing in Scotland will look in the future, there is work being done on alternatives to full integration. We welcome this move away from a merger and I remain optimistic. As reported last month we will continue to invite BTP/A to focus on Scotland and to provide extra investment and development opportunities to assist our people to do what they do best across the railway. We haven't had an NNM meeting since the last blog but the next one is planned for 20 December. We will welcome the newly appointed Director of People and Culture, Rachel Etebar, who will attend in company with DCC Hanstock. I look forward to receiving some good news on the long-awaited Limited Duties policy, the Allard and Ors payments [overtime and payment for CHIS handlers] and also an update on pensions. We still await the newly amended annual leave policy and the compendium of terms and conditions. I know some of you have questioned why the Federation is not replicating PFEW by producing an easy guide to what you are entitled to. 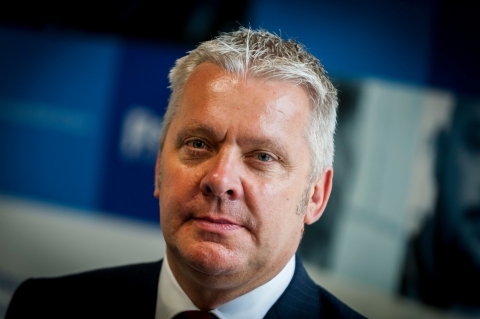 We are meeting with John Apter, the recently appointed Chairman of PFEW, early in January 2019 with the intention of working more closely together especially around the welfare and wellbeing of all Police Officers. However for those that don't know, unlike the 43 Forces of England and Wales, BTP is not governed by the Police Regulations. BTP does mirror regulations where possible however, the only Regulations that are in Statute for BTP are the BTP Conduct and Performance Regulations 2015. The remainder of our terms and conditions are written in SOP's, contracts of employment or written negotiated agreements. As a result, there is no single point of reference to view and scruntise what our T&Cs are. For this reason, and in light of our experience in Scotland, we have been pursuing the Force for quite some time to develop a compendium similar to the Police Regulations. We have questioned why we have written regulations informing us about conduct and performance, but don't have similar with regards to leave, RDIL, pay, expenses, sickness, pensions, welfare etc. The compendium is very much supported by the Chief Constable, hopefully the Force is nearing completion and we will receive a document that we can all share with everyone in the near future. Regarding the payment of Allard and Ors, we have received an update which relates only to those officers in specialised roles i.e. DSU. The finance department is now completing the calculations and this should be done by the end of this week. All calculations will include the "On Call" aspect and then the legal services department will contact all those officers who have submitted claims to discuss a settlement; this will hopefully be in early December. All claimants will be written to this week explaining the process and the expected timeline for completion. In relation to pensions, many of you are aware we are receiving reports from officers regarding BRASS contributions, transferees from HO Forces and the bilateral agreement regarding the transfer of their pension from a CARE Scheme into the BTP CARE Scheme. [Further information provided to members by email]. Many of you will be aware of the decision to cancel officers working on Christmas Day and Boxing Day and the recent communications that went out to all in C Division. The circulation explained a projected overspend in the overtime budget (which includes rest day and Bank Holiday workings) and that every effort must be made to move closer to balancing the books. That effort clearly starts with officer's shift patterns being disrupted, yet again. We have to acknowledge the fact that Police Regulations allow the Force to make such decisions, but we believe that there is a far wider context to this in terms of the message it sends out. The original message circulated at the beginning of the week suggested that analytical and demand work had been undertaken which showed there was not the demand or need for officers at certain locations and as a result officers could have that extra time with their families. Later communications confirmed the issue was a financial one. We all know budgets are being squeezed across the police service so let's be upfront about the reasons for this decision-making. Timing is also an issue in that hazardous financial circumstances outlined in the recent communication must have been known earlier in the year, and so earlier notice of these changes could have been provided to officers. The notice given is wholly unacceptable and it's our frontline officers who will suffer the consequences of poor management and poor decision-making. We do have concerns about officer wellbeing, and trust the force risk assessment has considered the impact on officers at various 24-hour posts travelling long distances to respond to calls at locations where there will be no resources. You cannot put a price on valuing your officers and staff, and the flexibility and goodwill that they demonstrate constantly to get the job done. We can't keep asking officers to do more with less and need to look at how the force budget is being allocated so we can ensure we are providing the best possible service to the public. The General Secretary Darren Townsend has written to Chief Supt Gregory highlighting our concerns and thoughts and I hope they are acknowledged. On a more positive note, this week I had the privilege of facilitating a misconduct course for 11 BTP Federation Representatives. The training provides our reps with the knowledge and skills to provide advice to colleagues in respect of misconduct or unsatisfactory performance regulations. We had the pleasure of the company of Colin Reynolds from Reynolds Dawson Solicitors and D/Supt Murray from BTP PSD. Both provided valuable input to the training and I thank them both. All 11 delegates are now ready to provide you with representation and I would invite anyone who needs a Federation friend to tap into their newfound skills and knowledge. The officers are: Stuart Cowan (D Division); Ryan Griffiths, Tanya Rickard, Justin Casson and Mike Jones (C Division); Paul Miller, Tracy Endersby, Mark Perryman, Rod Forsyth, Paul Donovan and Kinglsey Howard (B Division). Well done to you all for your hard work and commitment to the role of being a Federation Representative. We have been writing our monthly blogs for more than two years now and we're looking at ways we can keep them relevant and useful. We're going to run a poll on our Facebook page and welcome your feedback about the content and format. In the New Year we will test some different approaches and welcome your views. Again, thank you for reading this edition. Don't hesitate to contact your reps if there are any concerns or questions regarding its content. We're fast approaching December, a time when shoppers pack the trains and visit our towns and cities. Christmas parties lead to some rail users overindulging and needing your assistance and guidance. We all know the troubles that alcohol can bring to the environment we police so I wish you all the very best and invite you all to remain safe and vigilant. "There is no passion to be found playing small - in settling for a life that is less than the one you are capable of living".